At the Riverside Tamales Festival, I met a lot of cool people. One of them happens to be Vanessa Aguilar. Vanessa was last years’ winner at the festival in the “homemade” division with her ENCHIMALES, an enchilada tamal. 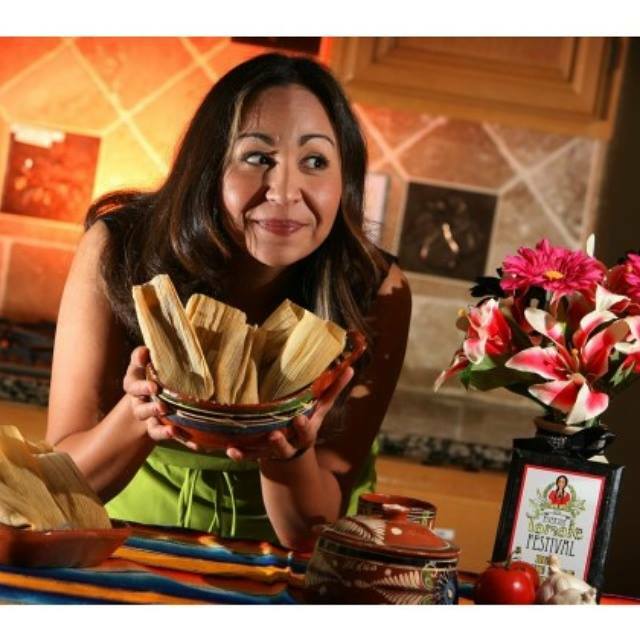 She has since then opened up her own business called “Banessa’s Tamales,” and I can understand why she has been in such a high demand for her tamales. My mouth had the honor of tasting her tamales and let me just say… “MMMMMMMM”. They were even ABUELA approved. I met with Vanessa at the Mission Inn and she handed me a brown paper bag and immediately my mouth began to salivate (I obviously didn’t disclose that info to her lol). I acted as normal as I could, but I wanted to run home and sink my teeth into them even though I had just had a huge dinner of Hot Wings. I got home and peaked inside the bag thinking I would wait until the next day to try them but the smell was pulling me in. I used every fiber in my being to restrain myself since I had already had dinner. So I walked away and minutes later I hear the microwave beep and then I here, “MMMMMMMMM”. That did it. I quickly walked to the kitchen and there sat my husband chomping on a tamal. He said, ” I don’t know what this is but these are amazing!” I took a bite and my eyes were rolling back from the goodness. We were devouring the tamal without even knowing what kind it was. There was a familiar taste to it. It was sweet, tarty and comforting. The label indicated it was a “guava with cheese” tamal. After that, I put all the tamales away and decided the next day I would invite my Abuela, mom, dad and Uncle Art to join me in tasting all the tamales I had. We sat around my kitchen bar area and taste tested one at a time. 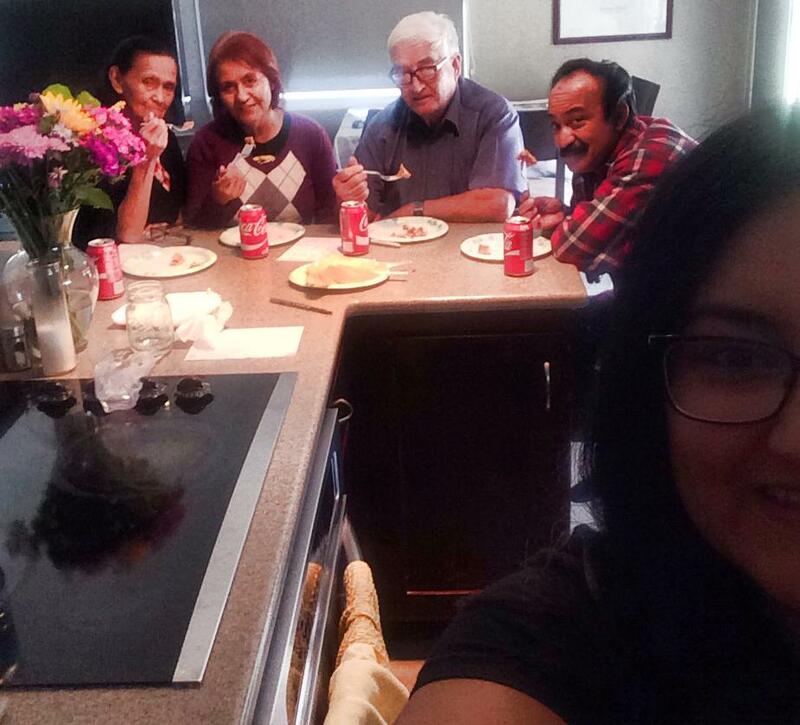 It was as if we were having our very own tamal eating contest. We tasted, scored, and made comments about each one. We had Sweet corn with candied walnuts, pineapple coconut, pear apple cranberry, veggie (mushroom, zucchini, cauliflower, corn), green chili cheese, pork/potato with chile verde and the famous Enchimale! We were so full after all the taste-testing but our palettes were well satisfied having lunch (and dessert) thanks to Banessa’s Tamales!!! We tallied up our votes to see which were our favorites. Our overall favorite was the “Enchimale,” which is her number one seller. In the “sweet” category, the Guava with cheese was our favorite and the pineapple coconut trailing close behind. They were all so good, that it was really hard to choose a solid winner of the bunch. Banessa’s Tamales has a tamal for every taste bud, from traditional tamales, sweet tamales, to the “vegan” tamal. So be sure, to taste for yourself. You will not regret it!